Lord Mayor of Armagh City, Banbridge and Craigavon, Councillor Julie Flaherty with the members of Evolve Martial Arts Club from Portadown who won medals at the WKC World Championships in Dublin. 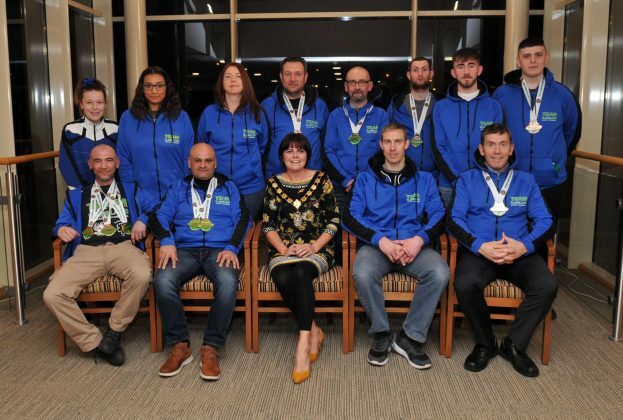 They are, front, Naiem Qureshi, two gold in -75kilo Masters Class, Simon Forde, one gold and one bronze, -85kilo senior class and back from left, Aubrey Tarr, 3 bronze, Denver Hawthorne, bronze, Geraldine Haslem, bronze, Dylan Bowman, bronze, Frank McClements, silver, Paul McCormac, silver and Philley Byrne, silver. 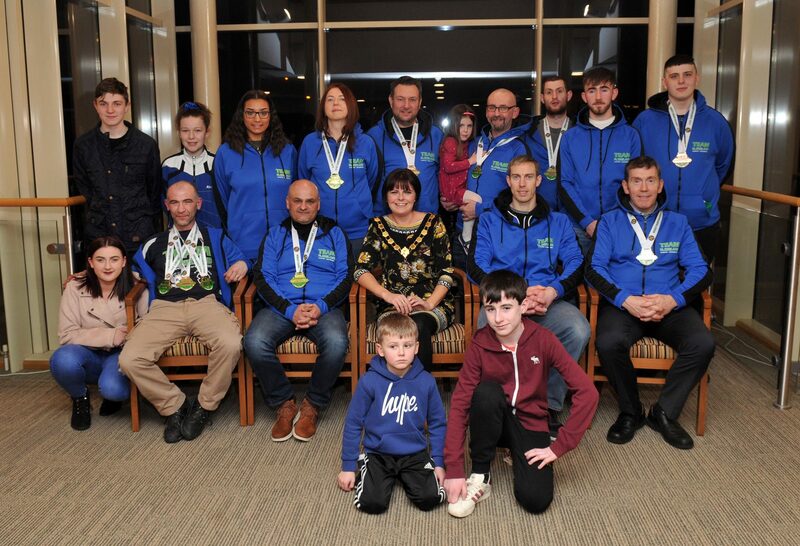 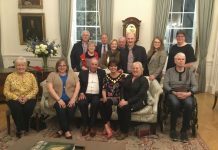 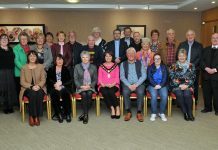 Lord Mayor of Armagh City, Banbridge and Craigavon, Councillor Julie Flaherty with the members and guests from Evolve Martial Arts Club, Portadown who attended the reception to recognise their success at the WKC World Championship in Dublin. Lord Mayor of Armagh City, Banbridge and Craigavon, Councillor Julie Flaherty with the members of Evolve Martial Arts Club from Portadown who competed at the WKC World Championships in Dublin. 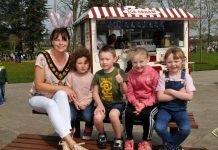 Previous articleTannaghmore Gardens Play Park to close temporarily for £250,000 revamp!